Manchester United are interested in Barcelona player, Sergio Roberto, according to reports in The Express. 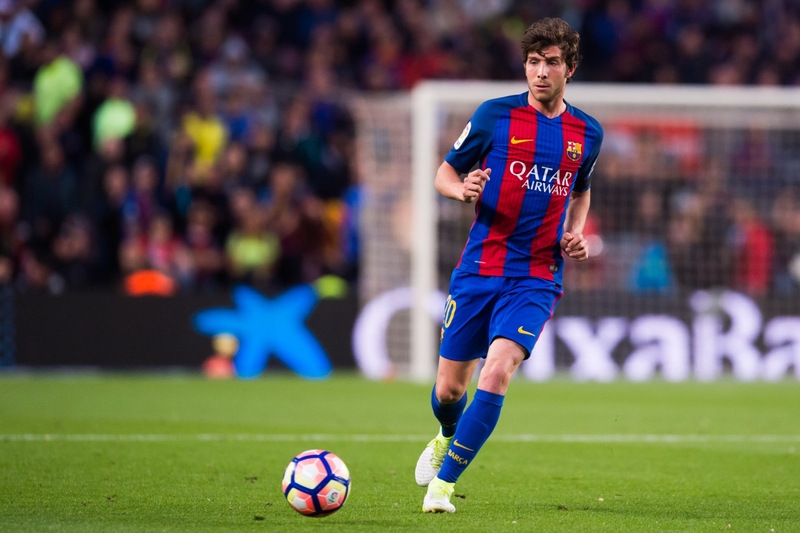 The versatile midfielder impressed last season under Luis Enrique, but with Barcelona inevitably looking to strengthen their midfield options this Summer, Roberto is set to be sent further down the pecking order and is now considering his options. With iconic names such as, Marco Verratti and Philipe Coutinho being linked to the Spanish side during this transfer window, Roberto is reportedly unhappy with the prospect of sitting on the bench for the forthcoming season. Following this unsettling feeling surrounding Roberto, Jose Mourinho is reportedly monitoring the situation, with the Spanish midfielder being an admirer of the Manchester United manager. However, as one would expect, Roberto has asked where abouts he would fit in under Jose’s side, as he does want assurances on his game time before making a decision on his future. With Roberto being a rather versatile player, capable of operating as either a right-back or in the middle of the field, there is no surprise at Mourinho’s reported interest, with United looking at other targets in both these positions. Perhaps the arrival of Roberto would potentially kill two birds with one stone and thus strengthen the squad’s depth in both these rather depleted areas. Although the story is only being covered by a couple of news outlets, perhaps Roberto’s arrival is a bit of a wildcard option. However, as mentioned, the player’s versatility is something that Mourinho admires within his squad players, so the story is worth keeping a close eye upon for further updates. Who has impressed the most during Manchester United’s pre-season so far?